If you enjoy doing and have a nice garden in Minecraft, this mod gives you new options and decorative blocks with which to give more life to your garden. GardenCraft 1.6.2 adds new decorative items such as new types of hedges, with which you can simply decorate or do mazes, blocks with climbing plants with which to decorate your garden, ceiling lamps, decorative torches, new variety of flowers, incorporating blocks of marble lamps, wooden fences in white, along with tables and chairs to sit and contemplate your new garden. 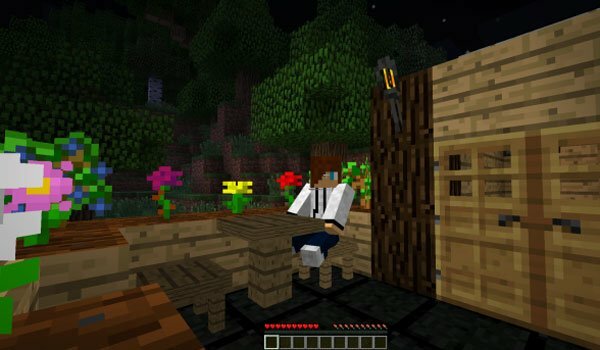 How to install GardenCraft Mod for Minecraft 1.6.2? Copy and paste the folder “1.6.2″ with another name, for example: “1.6.2Modloader”. Open “1.6.2Modloader” and rename .jar & .json files to “1.6.2Modloader”. Open “1.6.2Modloader.json” with notepad, and rename the “id” of “1.6.2″ to “1.6.2Modloader”. Open file “1.6.2Modloader.jar” and paste the contents of the Modloader. Open file “1.6.2Modloader.jar” and paste the contents of the downloaded mod file.